Get two high quality pocket knives for one low price with the Imperial 2 Piece Combo Pack. This 2 pack offers a lockback folding knife with a clip point blade and a folding pocket knife with large and small blades, and a pair of scissors. 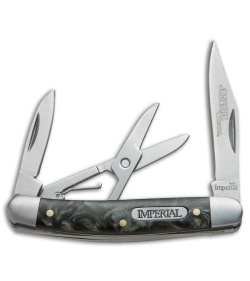 These useful tools don't take up a lot of pocket real estate but can easily manage any daily cutting chore. 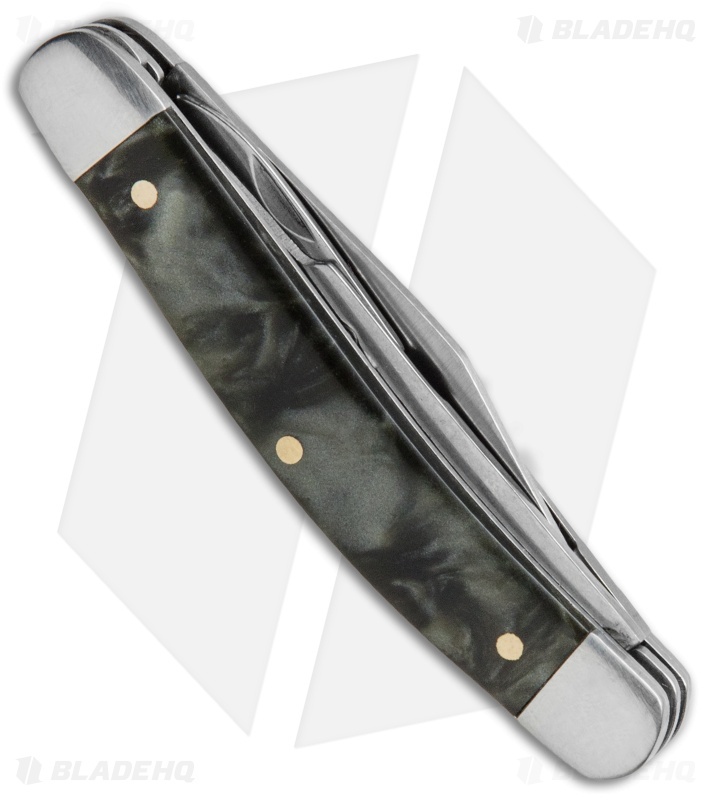 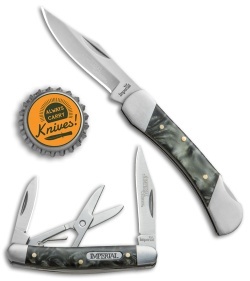 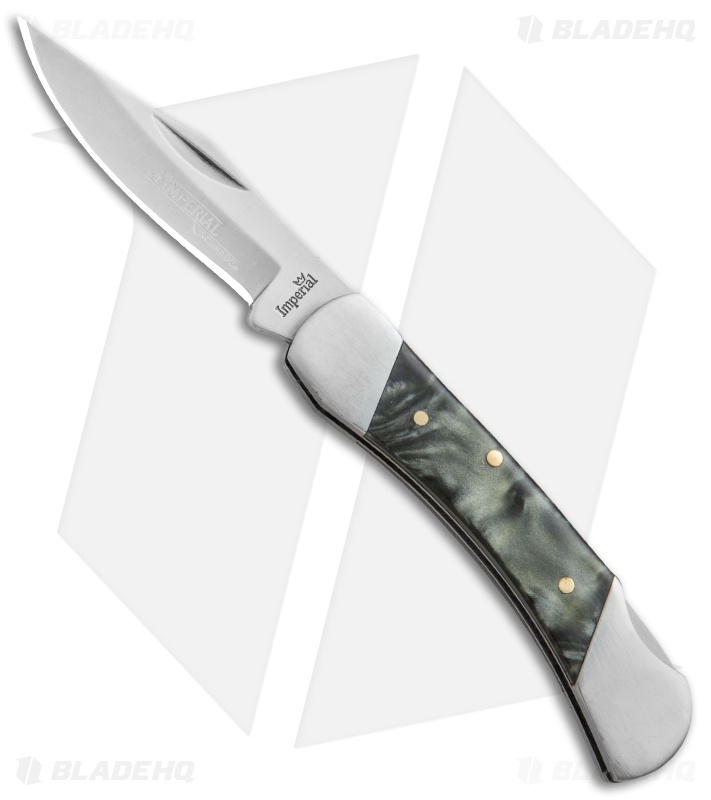 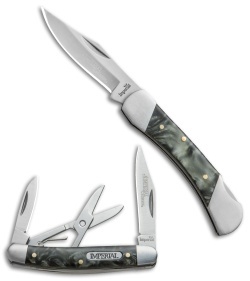 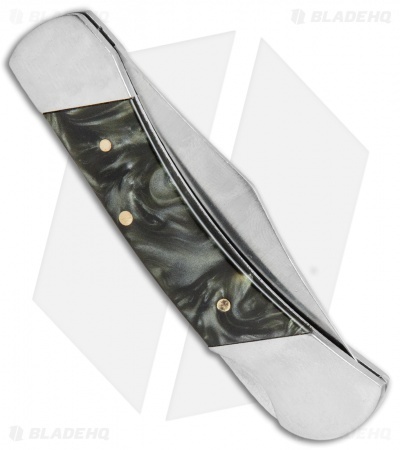 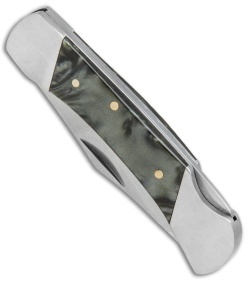 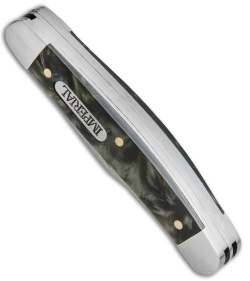 Stainless steel bolsters and gray swirl handle scales finish off the collectible design.